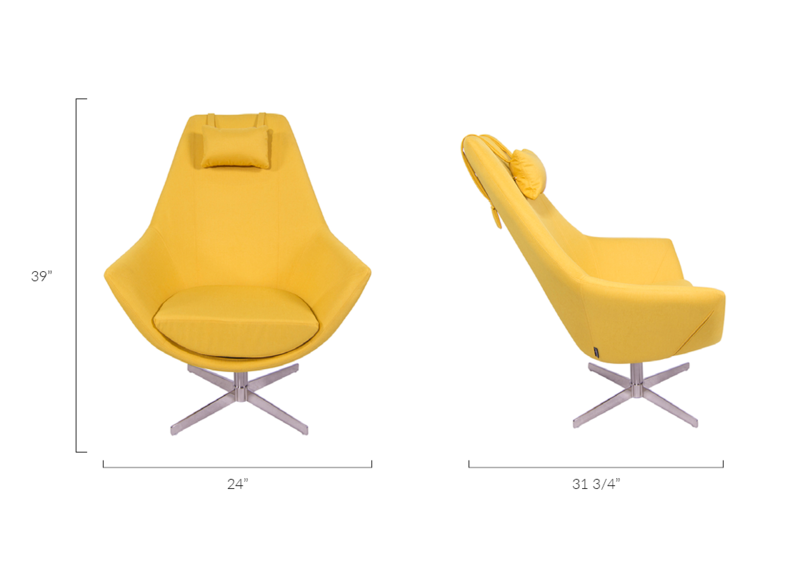 This sunny and bright lounge chair will be the talk of the town! Sharing special moments in your own modern living room is easy with the Kendra This sunny and bright lounge chair will be the talk of the town! Sharing special moments in your own modern living room is easy with the Kendra Contemporary Armchair Yellow. Featuring a golden yellow fabric juxtaposed by divine brushed nickel finish, this versatile lounger will create a comfortable spot to stretch out and relax in your favorite room of the house. This sunny and bright lounge chair will be the talk of the town! Sharing special moments in your This sunny and bright lounge chair will be the talk of the town! Sharing special moments in your own modern living room is easy with the Kendra Contemporary Armchair Yellow. L: 31 3/4" * W: 24" * H: 39"